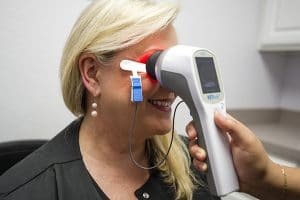 Here at Westlake Eyecare, we combine our decades of experience with the industry’s latest equipment to bring our patients optometry service that is simply unparalleled in Travis County. Our dedication to an excellent eyecare experience has gained us immense recognition in Austin, TX, and the surrounding areas. We back our promise by outfitting our center with state-of-the-art equipment, giving you the most precise and informed eyecare service. Please keep reading to learn more. 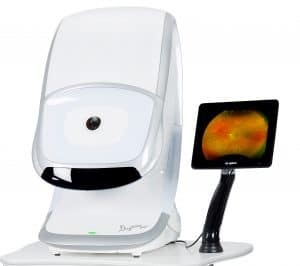 Daytona is a groundbreaking device that started the next generation of retinal imaging technology. With the use of lasers, this machine is able to take a highly detailed image of your retina. The unparalleled precision of this device has convinced top-tier professional optometrists to utilize it in their work. This technology provides extra support for detection, diagnosis, and analysis. Patients are also able to examine their eyes in detail never before seen. This device is a powerful, handheld device that effectively performs ERG testing. 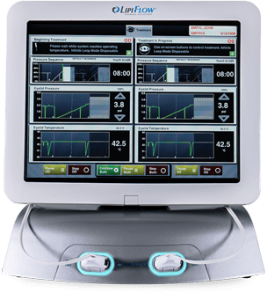 The Reteval allows our physicians to perform visual electrophysiology on your eyes both quickly and easily. We receive instant data that helps us discern the condition of your retina. With this device, we are able to assess glaucoma, retinal diseases, color changes in your vision, and much more. 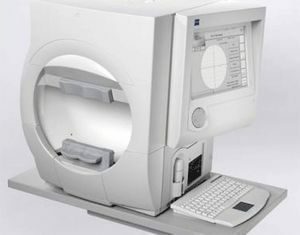 Designed with over 30 years of research and performance, the Zeiss Humphrey Visual Field 750i sets the world standard of care and management for glaucoma. The algorithms used in this device allow for precise and rapid real-time retinal measurements. 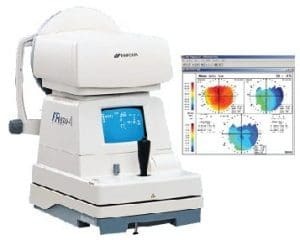 Additionally, the Zeiss Humphrey Visual Field 750i is a device that also incredibly reliable and useful for detecting the early stages of glaucoma. 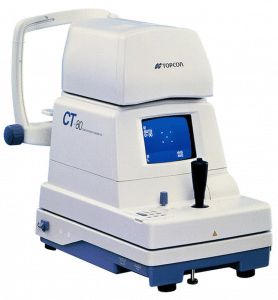 TOPCON is a highly advanced measurement device in the optometry field. This device is triple-function machine that gives precise and accurate corneal measurements. 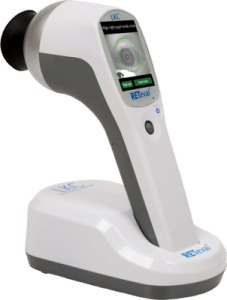 Equipped with an autorefractor, auto keratometer, and a corneal mapping system, this machine has a host of state-of-the-art components that make it the best in its class. This device, known by many patients for its administration of a brief puff of air into the eye, is the field’s standard for testing ocular pressure. The TOPCON utilizes a triple patient safety function that is easy to use and more comfortable than ever before. With the help of innovative, dual sensor systems, this device is able to record accurate measurements with ease. The LipiFlow Thermal Pulsation System is designed to treat Meibomian Gland Dysfunction (MGD). LipiFlow treatments consist of delivering therapeutic energies to the meibomian glands that help liquify and push up the obstructed meibum out of the orifices, improving gland function. Get the best eyecare service for yourself. Call today!